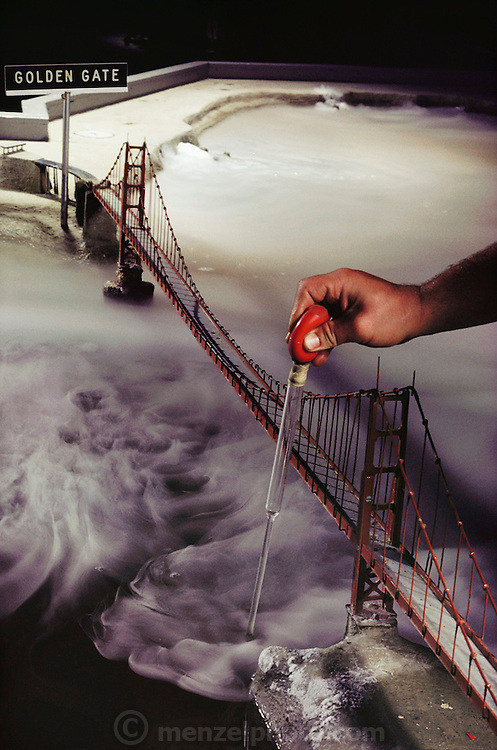 San Francisco Bay model, with the Golden Gate bridge. Sausalito. California. An engineer is taking a water sample.